A little late, but some pics from New Year's Eve. Aren't our new champagne glasses cute!? We constantly find Toby surrounded by his toys. He is a hoarder. 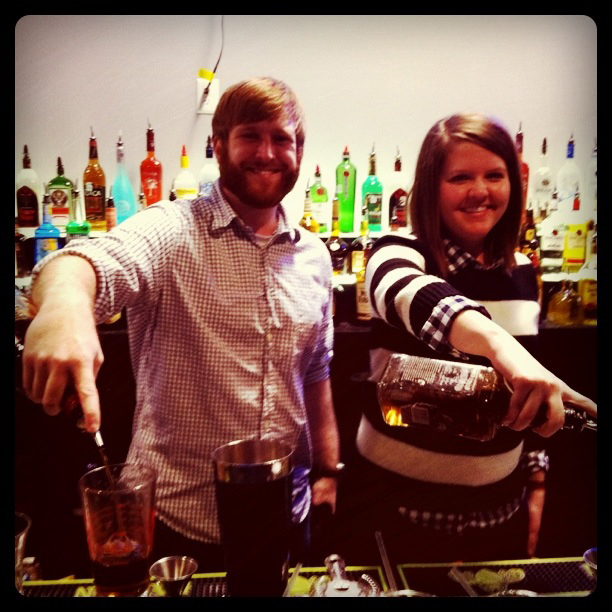 Bartending class for date night! We won all four drink pouring contests! Heck. Yes.